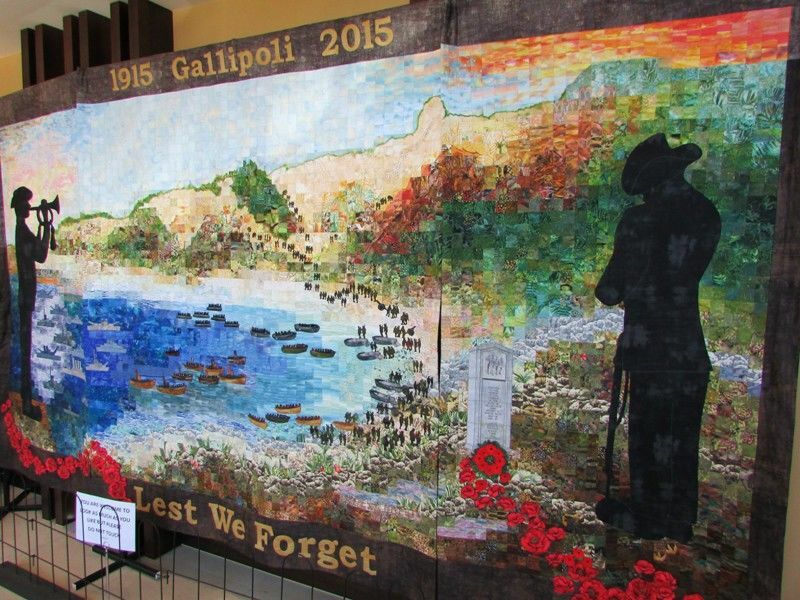 A triptych banner commemorates the centenary of ANZAC and those who served in World War One. The banner was created by the Waverley Patchworkers Inc. The banner measures 4 metres by 2 metres and consists of 4,888 2 centimetre squares which took over one year to create. The group successfully applied for a Department of Veteran Affairs for a Anzac Centenary Local Grant and the completed work was presented to the Cranbourne RSL. Left panel: The dawn call to service. 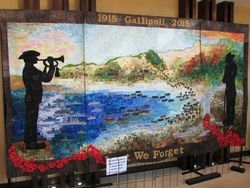 Centre panel: The landing at ANZAC Cove. Right panel: ANZAC Day at the Cranbourne Cenotaph.